Click here to access the 2019 General Surgery Selection Regulations for 2020 intake. In 2019, the Selection fee for General Surgery (Australia) will be $880 (inc. GST). Click here to access the Selection Guidelines for the 2019 (2020 intake) process. Information on becoming a surgeon is available from the Royal Australasian College of Surgeons website. All queries must be in writing. Phone calls will not be accepted, and you will be requested to put your query in writing to the above email address. Click here to access the Procedural Skills and Professional Capabilities Form. If you proceed to the interview stage, the mailing state supplied in your mailing address on your application will be used to determine where your interview will take place. 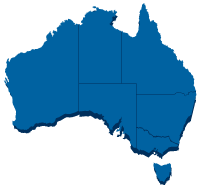 If your mailing state is ACT, TAS, NT or you are from overseas, your interview state will be the region you select as your first preference from your Regional preferences. Candidates who have known clashes with other events or personal circumstances have until 26 April 2019 to email selection@generalsurgeons.com.au requesting a particular date or interview state. Please ensure you provide the reason for your preference. Preferences will only be taken into consideration and cannot be guaranteed. Dates marked with an asterisk (*) will only be utilised if required. Candidates are not able to request they be interviewed on these dates. Interview dates are available on the GSA website, www.generalsurgeons.com.au. Please advise before 26 April 2019 to selection@generalsurgeons.com.au of any prior commitments affecting your availability. Once interview dates and times are finalised they cannot be altered. Second Round Offers are made via email prior to 12.00pm. Applicants not made an offer will remain on the wait list unless written withdrawal of application is received. Applicants not made an offer will be emailed advising that they remain on the waitlist. Third Round Offers are made via email prior to 12.00pm. Applicants not made an offer will remain on the waitlist unless written withdrawal of application is received. Applicants not made an offer will be emailed advising that they remain on the waitlist. Fourth Round Offers are made via email prior to 12.00pm if positions are available. Deferral is not permitted. Applicants not made an offer will remain on the waitlist unless written withdrawal of application is received. Applicants not made an offer will be emailed advising that they remain on the waitlist. Fifth Round Offers are made via email prior to 12.00pm if positions are available. Deferral is not permitted. Applicants not made an offer will remain on the waitlist unless written withdrawal of application is received. Applicants not made an offer will be emailed advising that they remain on the waitlist. Non- successful applicants on the waitlist are advised via email together with their feedback report.